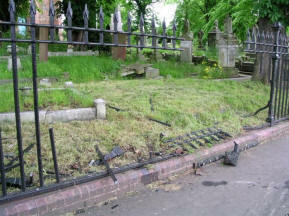 On June 2nd 2006 the railings of the Churchyard were badly damaged by a car in the early hours of the morning. 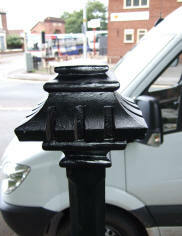 The railings were over one hundred and fifty years old and made of cast iron. To repair this historical asset has been a long and costly task involving various groups of people. Fortunately the whole cost was met by third party insurers. From start to finish the process took fourteen months to being to completion. 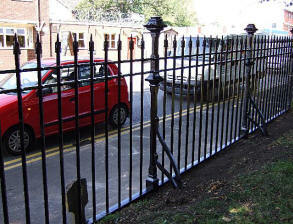 The pattern making was done locally in Cradley and the casting and reinstatement work by the specialist restoration foundry of Barr and Grosvenor of Jenner Street in Wolverhampton. The whole process was overseen by our then Architect Mr. Robert Tolley of the firm of S T Walker & Duckham of Worcester. Here the patterns are being inspected by one of our Church-Wardens at the foundry. 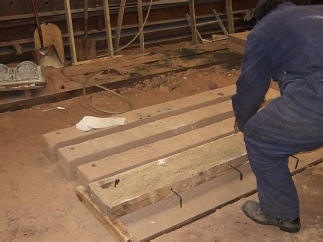 Patterns are made in wood and then used to create the sand filled moulds. These photographs show how the sand is packed around the pattern in order to create the moulds which will then be filled with molten metal. 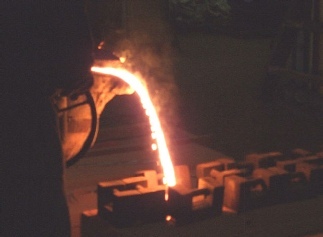 Iron is heated in an electric furnace until it is molten, then poured into crucibles. 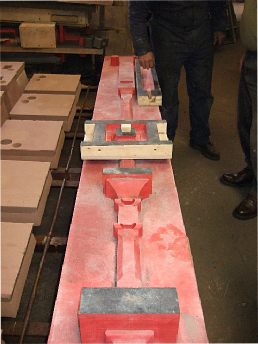 The temperature of the metal is checked and then the white hot metal is poured into the prepared moulds. 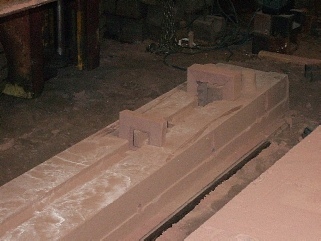 After casting the moulds are left overnight to cool, they are then broken open and the castings removed. 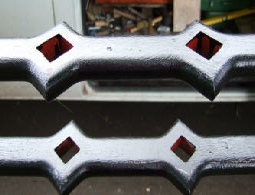 The castings are then fettled to remove any imperfections and painted ready for installation. 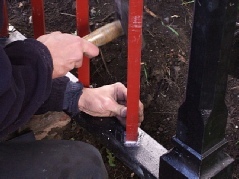 The posts, backstays, top, second and bottom rails are fitted together to form the basic structure. 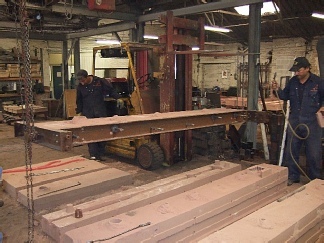 Uprights are prepared, ready to be fitted into the rails. Then the individual upright pieces are slotted through the top and middle rails and into the bottom rail. Lead is heated in a crucible and a ladle is used to fill the joints. 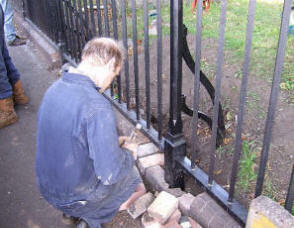 The fence is painted and the brickwork is made good. The work is completed to a very high standard. In an age when so many of our traditional skills have been exported it is a real delight to be able to claim that the repairs, which are of a superior quality to the original castings, were done in their entirety in the 'Black Country'. 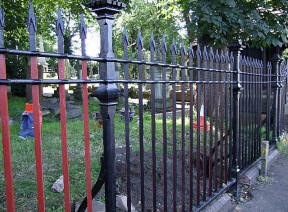 When the Church was built in the 1850’s the gifted cast iron railing were believed to have cost £500. 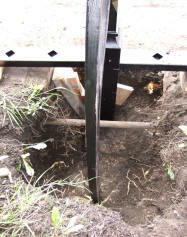 To repair the broken section alone in £2007 cost almost £30,000.